We’ve got another new addition to the Elite Holiday Homes family! Introducing Ile au Soleil. 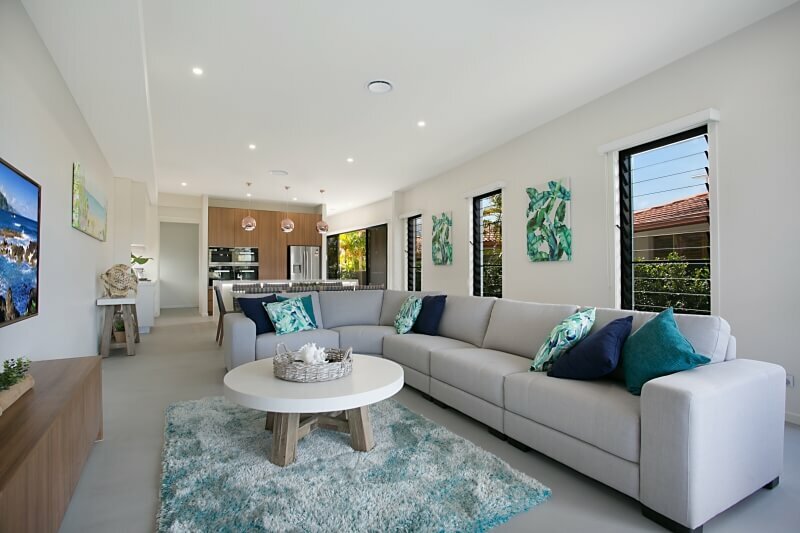 A brand new luxury villa, Ile au Soleil is designed to encompass the stunning Gold Coast vista. From the moment you walk through the all glass entry and then through to the open plan stylish modern living environment you will be impressed with the supreme style and the neutral toned interiors. 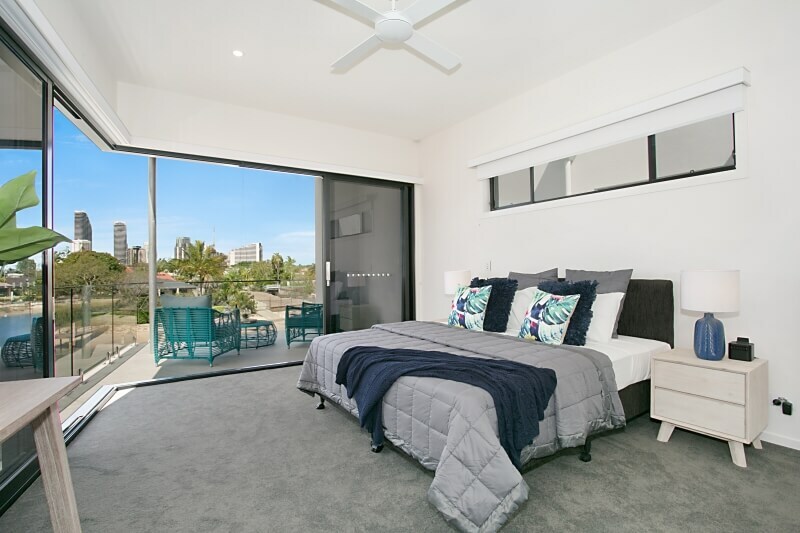 This property is located in one of Broadbeach Waters best streets where you are afforded almost 360 degree views from the vast roof top entertaining lounge and deck. A relaxed yet contemporary feel compliments the architectural design of the property to enhance it’s features and create a luxurious ambiance. There are multiple living areas indoors and out ensuring there is room for everyone to relax. 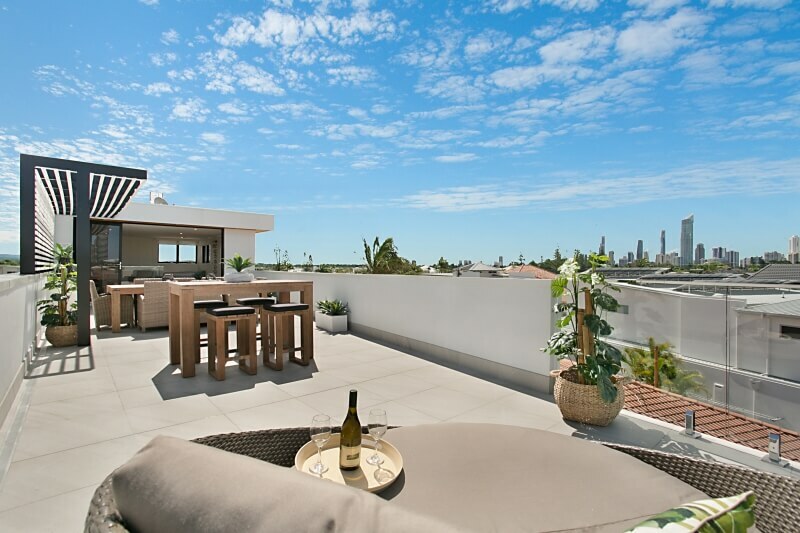 There is no doubt that the rooftop deck is the perfect spot to unwind and enjoy amazing views across the Gold Coast. 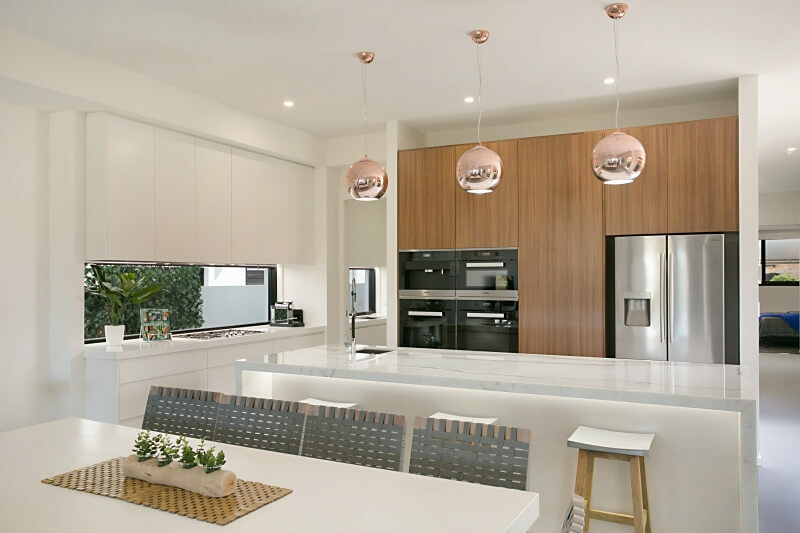 The open plan kitchen features an elegant Calcutta island marble bench top and integrated Miele appliances and includes a butler’s pantry at the rear. The kitchen and dining area flows seamlessly out through the living area to an undercover lounge area and BBQ looking over the plunge pool and waterfront. 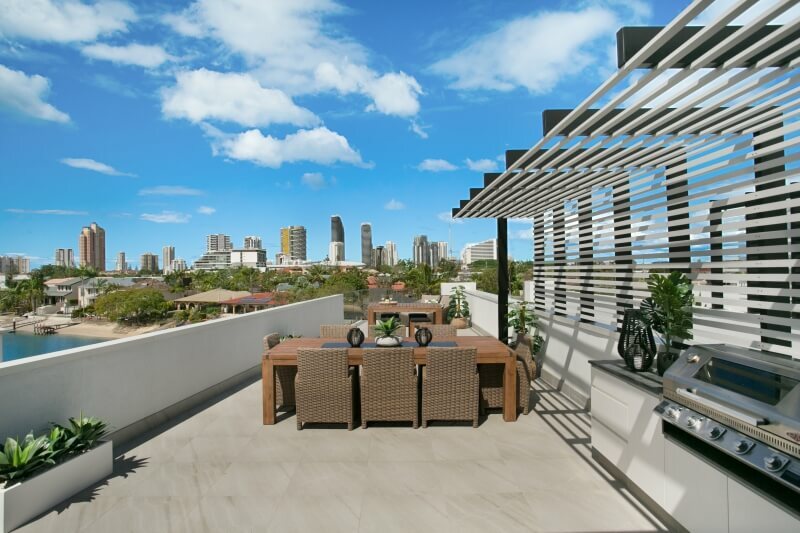 Entertaining options are endless here with the top floor boasting a sitting area that open to a huge rooftop deck with BBQ and views of the Broadbeach Skyline and Hinterland. The perfect place to enjoy a sunset cocktail or sit down and read a book! There is also a shared Jetty and sandy beach area. Be one of the first to stay in Ile au Soleil from just $400 per night. Book today!